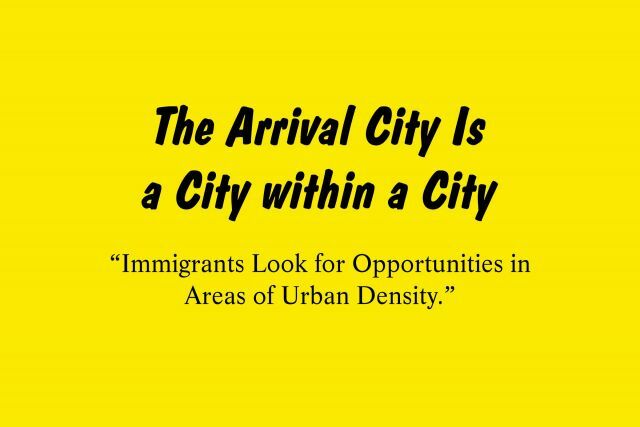 Eight theses on the Arrival City were developed in close collaboration with Doug Saunders, author of Arrival City: How the Largest Migration in History Is Reshaping Our World. What conditions must be met in Arrival Cities, from an urban planning and architectural perspective, for immigrants to integrate successfully into Germany? Doug Saunders has based his observations about Arrival Cities on his time spent in slums and favelas around the world. Such areas are poor and remain poor, but their turnover rate is high. Many people arrive, but don’t stay permanently. They offer cheap rents, access to work, and ethnic networks that adopt new arrivals and facilitate their social advancement.